Obsessing is a natural part of being human. It’s literally built into your genetic code. You see, we all have a “loop” in our brain that regulates obsession. Here’s how it works. An obsessions is like a drug. Thinking about an obsession releases dopamine. And that gives you pleasure. Which makes you want to keep thinking about it. Imagine a volleyball going back and forth over the net. Or a tennis ball. It’s like that. Pleasure, fascination. Pleasure, fascination. It’s the obsession loop. Now, there are all kinds of obsessions. And everyone gets obsessed from time to time. And that’s a good thing. Because obsessions are responsible for many of mankind’s technological breakthroughs, masterpieces of art, and brilliant musical scores. Take any historic figure who accomplished something remarkable. You can pretty much guarantee their secret obsession played a part in their success. Because obsessions allow us to work long and hard without feeling drained by the effort. That’s what it takes to move things forward. Focus. Drive. Obsession. But you’re probably most familiar with romantic obsession. You meet someone. And you can’t get them out of your mind. You want to spend all your time with them. You replay your conversations with them over and over in your mind. Some romantic obsessions lead to tragedy. Broken families. Pain. Death. But others are the stuff of sweeping love stories. Stories that make life feel meaningful, beautiful, whole. Here are five accounts of men romantically obsessing over women. Some of these stories are about real people. Others capture the intensity of a romantic obsession in a fictional story. Together, these stories will allow us to explore the entire spectrum of romantic obsession. You’ve probably heard at least something about the love life of the new French president. Because his love life defines much of the way the public thinks of him. People are “obsessed” with the couple’s story. And it’s a story that began with their secret obsession. First the facts. He is 39. His wife is 64. They met when he was 15. Back when he was her student. She was married with three kids. So, let’s get the bad stuff out of the way first. Their relationship began when he was underage. When she was in a position of authority over him. To be together, they broke the law. Then they broke up her marriage. And her family. But their secret obsession forged a bond that has stood the test of time. Macron has been in love with her for 24 years. He told her he would marry her when he was just 17. And now they’ve been married for a decade. Apparently, her kids have even grown to like him. The odds were stacked against this relationship. Yet their secret obsession allowed it to survive. Because they never gave up. Because he found ways to be with her. Even when their community was forcing them apart. Marcron confessed his love at the tender age of 17, promising he would one day marry her. He followed through on that promise 12 years later. 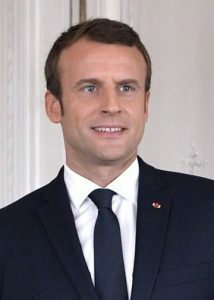 Considering that they are still together and he just became president of France, his obsession seems to have been channeled carefully, methodically, and effectively toward a happy end. 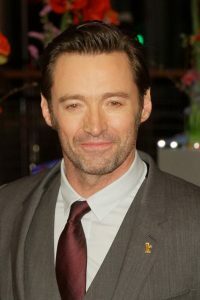 Hugh Jackman is a famous actor best known for his role as Wolverine in the X-men movies. But he almost wasn’t an actor at all. As a communication major, he took an acting class in his last year of college. Just to get the last credits he needed to graduate. And it led him on a journey to his acting career – and, more importantly, to a meeting that introduced him to the love of his life. Hugh got his big break on the Australian TV series, Correlli, where he met Deborra-Lee Furness. The women he would eventually marry. Unfortunately for Hugh Jackman, Furness’ had two rules about dating. It was her New Years’ Resolution. No dating anyone younger than 30. Dating Hugh would break both of these rules. But fortunately for us romantics who love a good story, Deb let her secret obsession bend the rules. The two are still happily married – brought together by their secret obsession with one another. In the movie Forrest Gump, the title character, Forrest, faces life with social and intellectual disadvantages. But it doesn’t take brains to fall in love. “I’m not a smart man,” he says, “but I know what love is.” And with those words, Forrest touches something in our hearts. We can’t help but root for him. As you recall, Forrest falls madly, passionately in love with his childhood friend, Jenny Curran. The thing is, you don’t stop loving someone just because they tell you to. Forrest had a secret obsession. He wasn’t going to give up. The movie chronicles the hardships faced by Jenny and Forrest as they go their separate ways. But they eventually have a child together and get married in the end. Why was Forrest obsessed with Jenny? And why do we find this fictional account of his secret obsession believable? The first answer is pretty simple and straightforward. Forrest grew up as an outsider. People rejected him and treated him badly. Especially other kids. She befriended him. She defended him. Without meaning to, she became a stable rock in his otherwise turbulent emotional world. He expresses this secret obsession in his steady devotion to her. As they grow older, she tries to push him away. She works valiantly to self-destruct. But he won’t let her. He always seems to show up when she needs him. Even when she’s pretty awful to him. Even when he’s rejected and mocked by her friends. Forrest writes her letters. He comes back to see her. He tries to be the steady rock of love and goodness she was to him as a child. And he keeps this up until she eventually realizes how lucky she is to have him. It could even be argued that all of Forrest’s success stemmed from his secret obsession with Jenny. You could argue that he wanted to prove he was good enough for her. But that would be missing the point. He simply loved her. Despite the fact that she dies not long after they get together, their story is a happy one. They find each other. Their secret obsession wins out in a way that seems best for both of them. 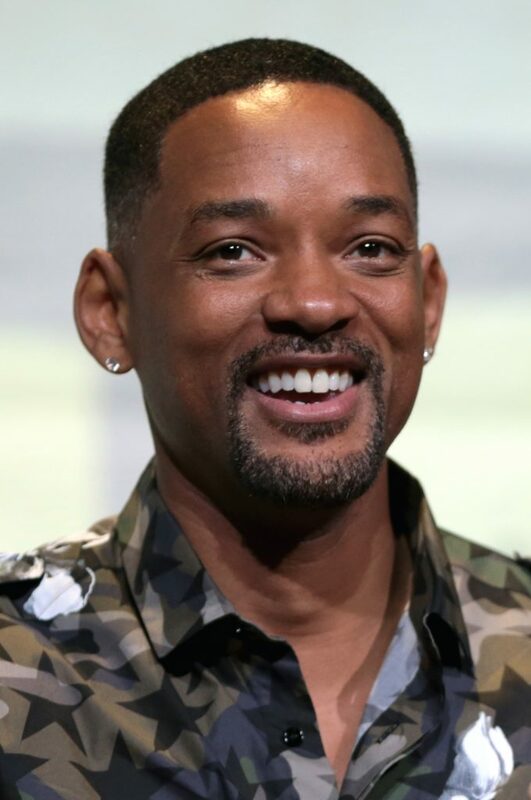 When Jada first met Will Smith in 1990, they became fast friends. But Will was persistent. For a long time. Five years, in fact! And that romantic obsession paid off. She finally caved, and Will pulled out all the stops. Their first date was a trip to Mexico! The couple was immediately very close. Always together when possible. And talking five times a day when they were separated for work. Two years later, Will proposed. Today, they are business partners, have two children together, and have been married for over twenty years. Will’s secret obsession was expressed as persistence. He refused to settle for “just friends” despite the many other women competing for his attention. And that’s the power of a secret obsession…persistence. In the world of Hollywood, steady romance is a rare thing to find. But Will’s persistence continued after they were together. They resolved to stay together. To stay emotionally close even when they were physically far apart. They planned frequent phone calls (and treated them like important appointments). Then they found a way to become even closer as business partners. Love is a choice. But for some it is an obsession. And after decades together, it certainly seems like their secret obsession has nurtured a beautiful relationship. Yes, that Romeo. Most of you probably already know his story. But you might not have ever thought about it in terms of a secret obsession. How exactly does Romeo obsess over Juliet? Well, because this is a play, he does it theatrically. He delivers speeches about her beauty and how amazing she is. He woos her from outside her balcony. He kills for her. He forsakes his family. His entire life. From the second he sees her, Juliet is always at the front of his mind. The same is true for her. Why he obsesses over her has been a point of debate for centuries. But one thing is hard to argue with. Their secret obsession shifts the ground beneath their feet. It replaces the highest priorities in their lives. Romeo loses himself in Juliet. He can’t imagine being apart. Living without his Juliet. Ultimately this brings about his tragic end. Thinking her dead, Romeo kills himself to be with Juliet. It is a case of obsession gone too far. Their secret obsession is untempered. Failing to make a plan, they allow their obsession to rush them toward a series of rapid decisions. 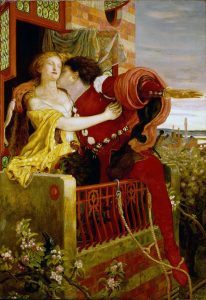 Romeo lost sight of any other goals or desires beyond being with Juliet. And his desire to be with her immediately. This blinded him to other ways they might have come together. Romantic? Yes. But there’s a reason their secret obsession is one of Shakespeare’s great tragedies. Romantic obsessions get a bad rap – but the truth is that obsessions are a normal part of the human experience. Why not celebrate those who have embraced their secret obsessions and invested their lives in loving another person with all their heart? If you believe true love is worth being obsessed about, I’d love to see your stories or comments below. This entry was posted in FYI and tagged famous men, men, their secret obsession by Arcane Marketing. Bookmark the permalink. I told him today very hurt over this I feel like I’m not good enough or woman enough for him He told me I’m his soulmate and he loves me more. He also said he wants us both. I told him I’m not like that I have feelings and a heart and morals. Hi Susie. First of all, I’m very sorry to hear that you are facing this situation. I can only imagine how frustrated and hurt you must feel. As you probably already know, most people would advise you to exit a relationship when a partner has disregarded his commitment to you in such a serious way. But the fact that you’re asking a question suggests there are factors we may not understand that make the decision about what to do less clear. If you choose to give your husband a second chance, and you decide you want to reconcile with him, let me first point out that there are ways to support everyone you care about on a financial level and on an emotional level regardless of whether or not you remain in a romantic relationship with your husband. Let me also point out that if you choose to reconcile with him, there is no excuse for his continued involvement with your niece (regardless of what emotional feelings he has). If you decide you want to provide financial support to her or her children, all contact and financial support should come through you, not him. You’ll need to be very cautious with creating boundaries. In fact, I would recommend that the two of you seek marriage counseling in-person with someone in your local area to help reinforce what’s good in your relationship while setting boundaries to screen out the toxic behavior that could keep you both trapped in a very unhealthy situation. I’m disappointed that 2 of the 5 famous men are fictional. Is that because it would be too hard to find 2 more famous men whose whole heart belongs to one woman?